Welcome to Kettering Physician Network Primary Care specializes in family medicine serving Hamilton, Ohio, and surrounding communities. Our practice appreciates the opportunity to be a part of the Community. 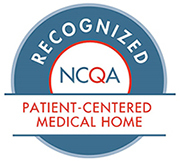 We provide care centered around you and strive to take an active role in your health care. With preventive care as our primary focus, we make your health our first priority.